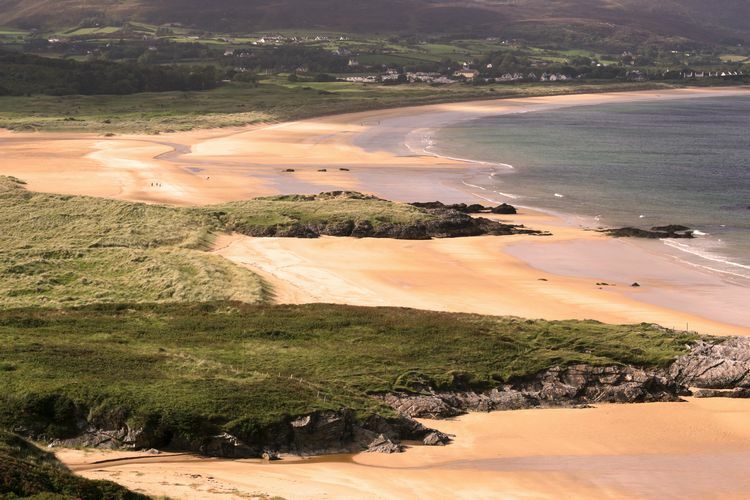 Donegal is home to the most beautiful beaches in Ireland and certainly home to the highest number of long stretches of sandy beaches in Ireland. Indeed some years ago writers of the Observer Magazine voted the fabulous beach on Ballymastocker Bay on the Fanad peninsula of County Donegal the second most beautiful beach in the world, (pipped at the post by a beach in the Seyshells). 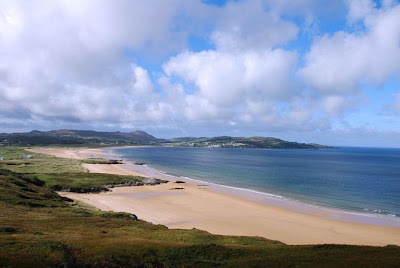 The beach is huge, stretching all the way from Portsalon to the steep Knockalla coast road. 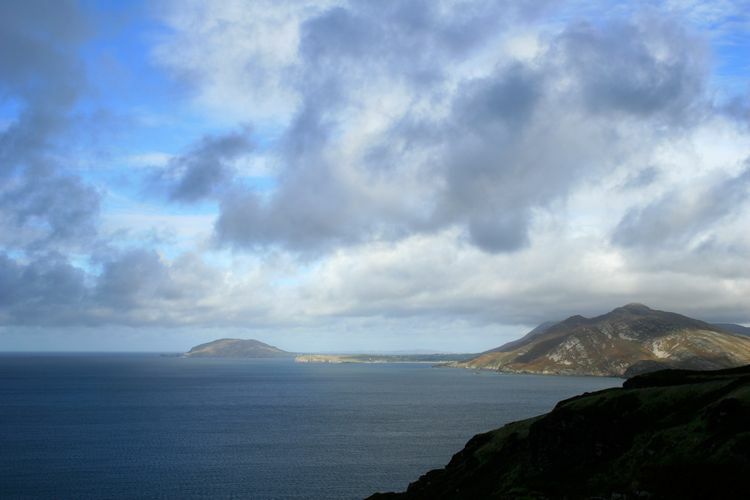 A drive, or a walk up the hairpin bends of the Knockalla coast road brings you to two viewing points from which to view this spectacular beach, the first half to two thirds of the way up and the second at the very top of the road. From the top the views are not only spectacular but also a bit dizzying for those who have a fear of heights. And at the top of the Knockalla coast road along with viewing Ballymastocker Bay you can see all the way to another Donegal peninsual, Inishowen. Donegal has got to be one of the most beautiful places in the world. I consider myself to be very lucky to be born and live in the county. Thanks Aanee, glad you enjoyed them. Lovely beach! You do a great shots to capture the beauty of the beach. It seems so real. Thanks for sharing this one. cool man, its great beach. hmm, do you wanna come in Belitung? This place has a good beach too. excellent looking places capture by you. great and thank you for sharing with us. Beautiful beach!! !I want to visit this place.Thanks for sharing. 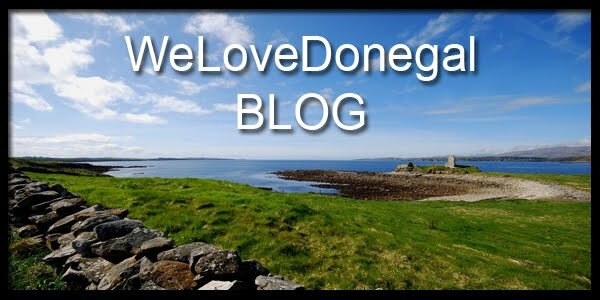 This blog is an extra element of our main website, WeLoveDonegal.com, the aim being to to add bits and pieces that may or may not be on our website but may nonetheless be of interest to our readers. The blog also gives us the chance to elaborate on items on our website in more depth. Other posts will take you with us on our trips around Donegal, a sort of 'virtual' tour of our county if you will. These posts will be accompanied by photographs to bring the whole thing to life for our readers. Occasionally we will also add 'Behind the Headlines' posts, posts where we have looked further into something Donegal related which you may have read about in various media. These will usually be accompanied by our photos of the people or places involved in order that our readers can get a more personal feel for a news story. So, today (Monday, 17th of May 2010) we start this blog so call back often to check what's new.